Like our service dog vest, service dog patches help identify your companion as a service animal. These patches help to inform others around you that your dog is working and has full access to accompany you at all times. When sewn onto your service dog’s vest, these patches convey valuable information and allow you to keep your service dog at your side. 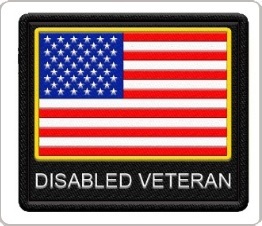 We at WorkingServiceDog.com offer more premium patch choices than any other company. 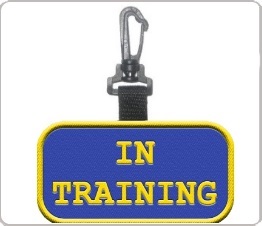 Our patches are made from heavy fabric and are extremely durable. As long as you require assistance from your service dog, you can rely on these heavy-duty patches. 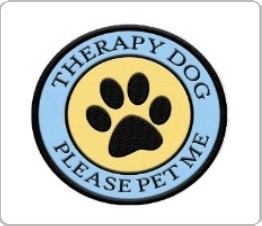 It is important that your service dog patches send a clear message. 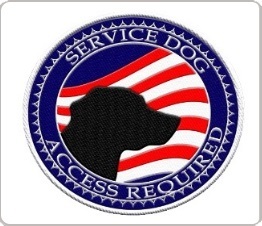 Our patches are designed to inform the public that your dog is a service dog. It is not a pet, and as such has the right to accompany you wherever you go. While these patches are not required by ADA law, they still provide useful information in emergency situations. If something happens to you while you are out with your service dog, and your dog starts barking as per its training, other people may be able to react appropriately according to the information printed on your dog’s patch. 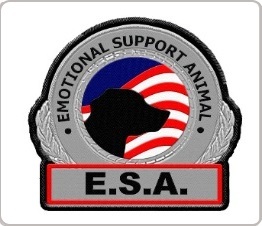 These service, emotional support, and therapy dog patches indicate your dog’s right to accompany you and provide assistance for you. Additionally, these patches can also serve as warnings to those who may view your dog as a pet. “Working Dog Do Not Pet” and “Please Ask to Pet Me” patches help remind adults and children that your dog is working and should not be treated the same as any other dog. A Free Patch with Every Vest Purchase! When you buy any large or small service dog vest, you will also receive a free patch of your choice. Many of our high quality vests come pre-patched for your convenience. However, if you would like to customize your service dog’s vest to your exact specifications, you may choose the patch that fits your needs best. These patches are available in various sizes and vibrant stitching that make it completely easy to see that your dog is a working service dog. You may add additional patches to your vest purchase to make your dog’s vest even more informative. Additional patches can include “Battle Buddy” or even a custom name patch. Please note that size XXSmall dog vests can only fit a single patch. If you order more, they will be included in your package loose and unsewn. The more information your dog’s vest provides, the better your dog will be identified as a service dog. When choosing your service dog vest, you have the opportunity to purchase additional patches from WorkingServiceDog.com. If you do we will gladly sew them onto your vest at no extra cost. This will give you an ideal appearance for your service dog when entering public property. 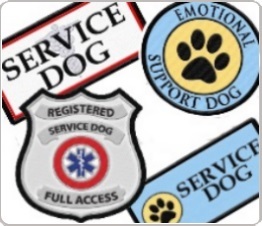 Why buy more than one service dog patch? Attaching patches to each side of your service dog’s vest ensures that people can see the necessary information from any angle. Please remember: It is fraudulent to represent your dog as a service animal if it is not. Use service dog patches responsibly.